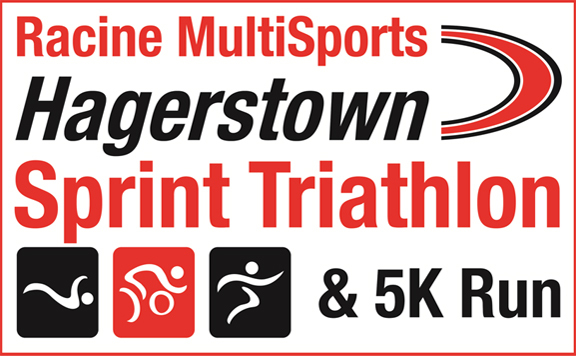 This “sprint” distance Triathlon, designed for all levels, will start and end at Halfway Park in Hagerstown, MD…..just 25 minutes from Frederick, MD and 90 minutes from Baltimore and DC. This is a great course for the beginner or the experienced triathlete who wants to go fast! Included with the price of your athlete registration: – Well organized and professional event, of course! – Free Race Photos. See photo page here of past races. – Race Technical T-Shirt – Custom Finisher Medal (Triathlon only) – Swag Bag of goodies – Custom Awards – Post Race Food – Real-Time Kiosk Results – Satisfaction of finishing a multisport race! – Meeting other athletes and establishing new friends!!! Run Course: The run is and out and back and is entirely in the park using the path and park road. Transition Area: There is only one transition area on pavement for this event. Top Athena (women 165 lbs+) / Clydesdale (men 220 lbs+): (39 and under) and (40 and over). If you choose this division you will not be eligible for your 5 year age group. You will compete in this division. Please be aware you will be discretely weighed at the event. *The Open Division is designed for experienced or elite athletes. The Open Division and Age Group Categories will have separate awards. The Open Division will be the first swim wave. This division is recommended for men who can complete this Sprint distance in less than 1:05 and women less than 1:15. If you meet these recommendations yet would rather compete in the age group category you may do so. Your race age is based on your age on December 31, 2019, per USAT rules. Run Course: The run will be an out and back course using the same 5K course as the Duathlon. Awards will go to the top finisher in each of the following categories. As this race grows we will offer awards deeper into each category.